Congratulations to fellow author Kathryn Lively on her new release! Until recently I have mainly written mysteries and thrillers, though some of my books contain romantic entanglements…always with a happy ending for the characters involved. 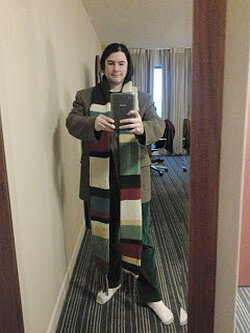 My first attempt to write a full romance occurred after reading a call for “geek romances,” something that attracted me. As a geek who married a geek, I figured I had the topic well in hand. My story idea, a romantic comedy of errors set at a sci-fi convention, became Geek Meets Girl, and it was accepted by a publisher. While the writing and submission part came easily to me, however, certain circumstances resulted in the reversion of the book’s rights. It happens, publishing is unpredictable at times and what can you do but roll with the punches. 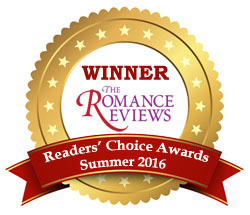 While I pondered the story’s fate, an invitation came from Under the Sun Publishing looking for contemporary romances for a box set. I may write thrillers, but I enjoy reading romances. 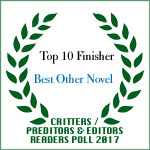 Contemporaries are favorites, especially romantic comedies and small-town settings. Joining a box set of all contemporaries appealed to me because I had something in common with many of the authors: each had a story to tell, yet was willing to partner with other writers to help spread the word. 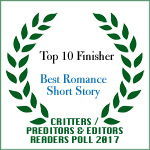 I find with romance writers the community is strong – there is no competition for reader dollars because romance readers want everything! I can attest to that. If I enjoy a small-town contemporary from one author, I’m going to look for similar writers while I wait for Author A to put out her next book. With a box set, in this case FALLING IN LOVE, you get eight books altogether so your weekend is set! 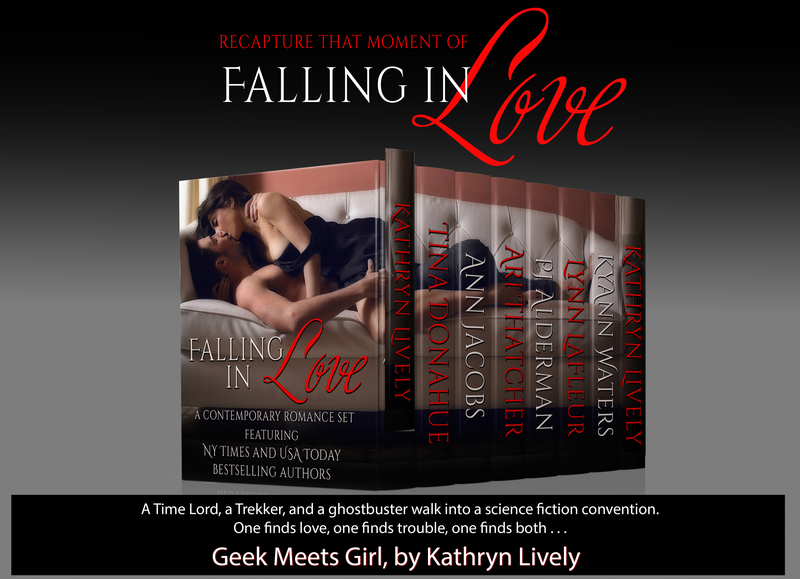 Geek Meet Girl was welcomed, and soon readers will see how a female Time Lord meets the geek of her dreams in the FALLING IN LOVE bundle. As this is my first bona-fide romance story, I like the idea of presenting it in this format, and I look forward to getting to know more romance readers. Grace is excited to attend her first event, while con veteran Mick enjoys tweaking her in a debate over whether or not Quantum Leap is superior to Doctor Who. Meanwhile, Mick’s roommate has designs on Grace to win a bet which has nothing to do fandoms. Kathryn Lively writes romance and mystery. She likes to drink wine and binge-watch classic TV. 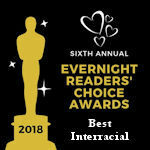 Evernight Birthday Blog Hop winner! !